Since first introduced to the medical community in 1989, as a treatment for eye muscle disorders, administering of Botulinum Toxin Type A: Botox® and similar neurotoxin injectables, has now become the most popular non-invasive aesthetic medical procedure performed worldwide. 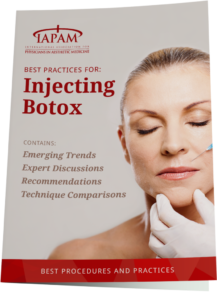 Botox® and similar products are specialized tools in the physician’s anti-aging arsenal, so it is critical that physicians entering this field have comprehensive hands-on Botox training to ensure the most successful patient outcomes. Comprehensive, multi-day programs, akin to those offered through professional organizations like the International Association of Physicians for Aesthetic Medicine (IAPAM), must be delivered by board certified dermatologists acutely familiar with the skin, facial musculature, and the cosmetic use of Botox. More information on the IAPAM’s Aesthetic Medicine Symposiums, as well as the IAPAM’s Botox/Filler Bootcamp, can be accessed through the IAPAM’s websites at https://www.IAPAM.com and https://www.aestheticmedicinesymposium.com. * The patient consultation undertaken prior to the procedure is critical to a successful outcome for both the physician and the patient. * Know your anatomy. This the key to proper injection placement and always inject based on anatomy. * One must understand the details of how Botox® or similar injectables, interact with the muscles, as well as how to achieve beautiful aesthetic results by decreasing muscle contraction in a designed and organized fashion. * Always keep an ‘antidote’ on hand just in case a patient develops post-injection ptosis. * Ice is generally employed to minimize bruising, but the use of topical or other anesthetic varies from physician to physician. * Never oversell the longevity of the effect of Botox®. Tell patients that, on average, the Botox® will last about three months. * Always encourage a brief, post-procedure visit, about 10 days afterwards, especially for new patients. This visit allows the patient and doctor to assess the results, and generally cements the relationship for repeat visits. Share with the patient that the best use for Botox® is preventative… NOT reparative. 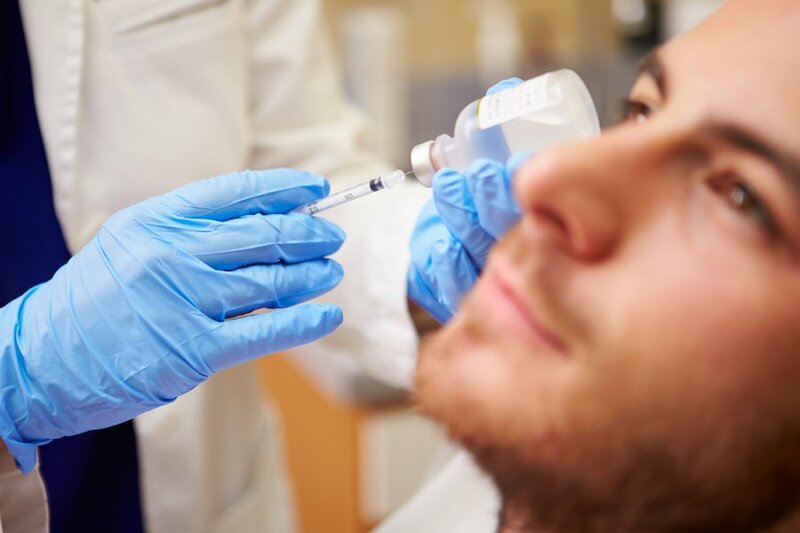 By starting Botox® every 4 months in your late 20s or early 30s, patients effectively avoid the years of scrunching and frowning which inevitable lead to furrows. Botox® is, indeed, “a stitch in time”. Always take your time during the initial consultation to “read the patient.” Realistic expectations as well as what they perceive to be the “problem to be fixed” are so crucial to happy outcomes. Make it a point to study each face prior to injecting and go through the exercise of having the patient make a series of movements that allowed the physician to see exactly how the muscles interact. Always use Before and After photos…they can be your best friend as people forget what they looked like prior to their treatment. When taking before pictures of each patients, USE available light rather than flash so as not to wipe out the guide marks if made with a white pencil. Alternatively, use an eyeliner to mark the injection sites. Eyeliner is easy to remove with minimal rubbing. Furthermore, when marked with white pencil on the affected areas, indicate with a dot for each injection site, and create a facial map for future treatments. A single Botox® injection of 2-4 units will cover a 2cm diameter area, and placed carefully it can be extremely aesthetic. Try to find out during the initial consultation if a patient has had Botox® treatments and if so, what things worked and did not work with the previous injections. Look for things to avoid to replicate; also this is a useful strategy to determine if a patient has unrealistic expectations or body dysmorphic disorder etc. If a patient is unsure whether or not the desired effect has been achieved, give them a hand mirror and ask them to move only the muscles involved (i.e. raising the eyebrows, frown lines… ). Most patients will try to squint as hard as possible and note some muscle activity outside the range of treatment, which is very normal. Remind them that the treated muscles are not contracting and thus he/she is using additional muscles to ‘try’ to move the others. Furthermore, Botox® is not active ‘instantly’. It can take up to 4 days for the full effect to be realized. Patients need to know this so they don’t start to worry the next day or two when the results have not fully begun. Always contact the “first time” patient at the 2 week mark .…. it can be in person or by phone but the doctor or his/her staff need to make sure that the patient is satisfied because if they are not they are likely to migrate to an alternative physician. Do not try to extend the economic value of the product be diluting it further than recommended. It is an occasional mistake of practitioners, and generally leads to “unhappy” patients. Reconstitute with PRESERVED saline and use a 1:1 reconstitution (1.1 cc per vial of Botox®). It makes the math easier, is less painful for the patient and does not affect the efficacy of the product. Store reconstituted Botox® in the fridge for up to 6 weeks….again the efficacy has been proven to hold. However, do NOT allow the product to freeze/thaw/freeze/thaw. This cycle will break the disulphide bond in the product’s molecule and decrease it’s efficacy. To access the rest of this report, please visit our Members Resource Section. If you are not a member, you can join the IAPAM today! What to Expect When Botox® Wears Off? What is the Difference between Botox® and Dermal Filler Injections?